Today is National Raspberries and Cream Day! Please don’t confuse this momentous day of celebration with National Raspberry Cream Pie Day (that was August 1)… or National Raspberry Cake Day (that’s observed on July 31)… or National Raspberry Popover Day (long passed… May 3)… or National Raspberry Bombe Day (that’s not until next week). This is the day to buy pints and pints of beautifully luscious raspberries and pair them with rich, sweet cream for your own little bit of heaven on earth. Move fast because raspberry season officially ends in just a few weeks. Raspberries are low in saturated fat and cholesterol and a great source of fiber, vitamin C and magnesium. 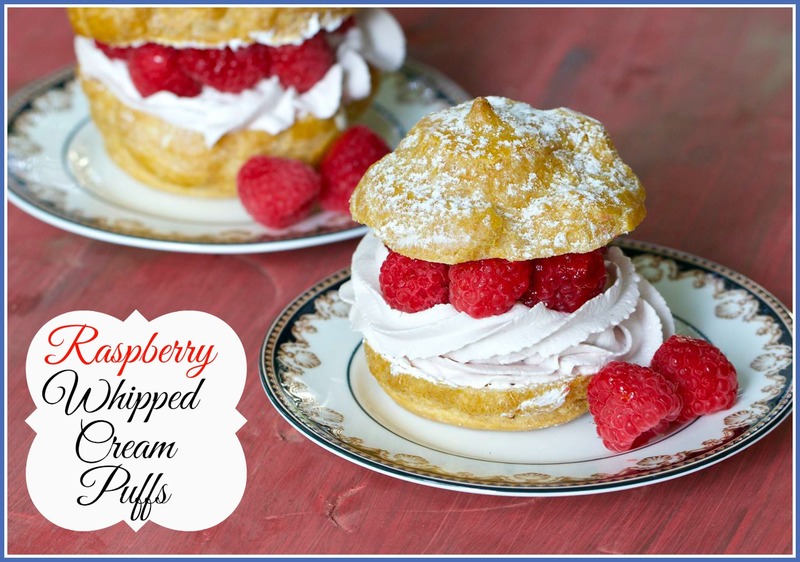 But you won’t be thinking of that when you dive into these incredible Raspberry Whipped Cream Puffs. I flavored the whipping cream with raspberry jam, which really makes the filling smooth and creamy (no seeds in sight but lots of raspberry flavor). You can make the puffs the day before and store them in an airtight container. Don’t fill them until just before serving so they don’t get soggy. Now get moving! You have no time to waste…there’s another raspberry holiday right around the corner! Line two baking sheets with parchment paper and spray with anti-stick spray; set aside. Move oven racks oven center. Heat oven to 400°F. Heat the water, butter and salt in a medium saucepan on medium-high heat until the butter melts; remove from heat. Add the flour all at once. Return to low heat and stir until the dough forms a ball. Remove from heat and let the dough cool for 5 minutes. Stir the eggs into the dough one at a time until the mixture is glossy and smooth (I used an electric stand mixer to make the tough job go faster). Spoon the dough into large, rounded mounds, 2-inches apart. I used a ½ cup measuring cup so they would all be the same size. Bake for 30-35 minutes, or until the puffs are golden brown (they will sound hollow when tapped). Prick each with a skewer to let steam escape. Cool completely on a wire rack. Sprinkle evenly with powdered sugar. Slice off the tops and remove the centers; set aside. Whip cream on medium high for 1-minute. Add raspberry jam and beat on high speed for 1 minute. Taste the whipped cream. Add more raspberry jam if desired. Continue beating whipped cream until stiff peaks form. Spoon whipped cream evenly onto bottom of halved cream puffs. Top with 3 or 4 fresh raspberries. Replace tops and serve immediately. 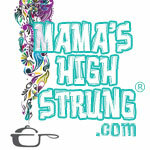 Cook’s Tip: Wait to fill the puffs just before serving so they don’t get soggy! 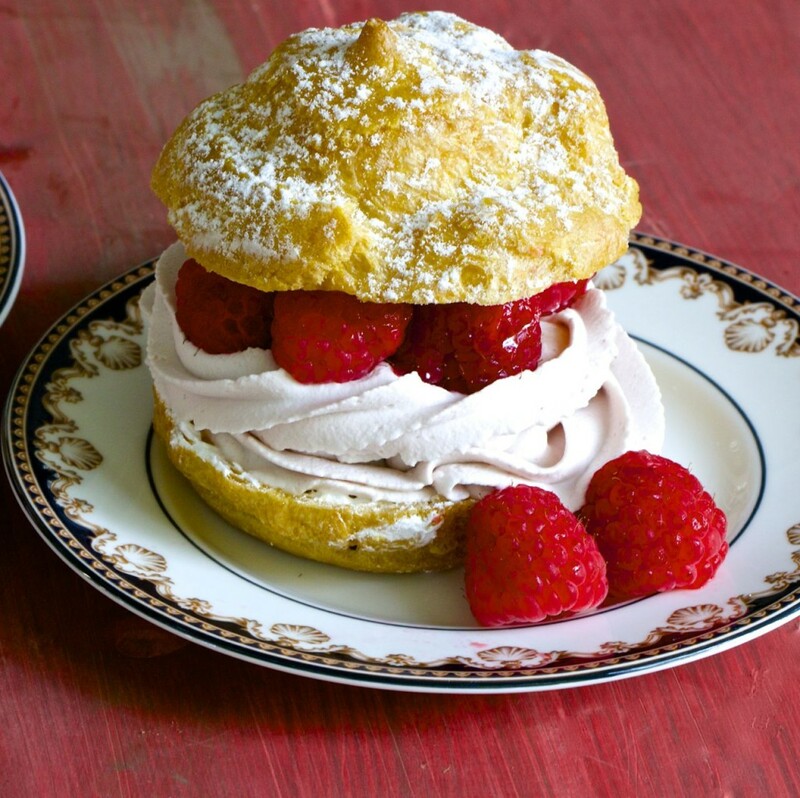 Make it Fancy: Place a star tip on the end of pastry bag and fill with the Raspberry Whipped Cream. Fill the bottom half of the cream puffs and proceed as directed above. Thanks so much… I’ll be there! My tastebuds are saying YES, but my hips are saying nooooooooo! These look lush! Thanks for stopping by… and for inviting me to the hop! I can’t wait to try these. They look awesome!